Bookmark – how adorable is this PSL bookmark?! I have so many books and zerrro bookmarks! Pelican Bat Monkey Bread mix – mmm drool! A massive box of mini muffin mix omg so yummy! Can’t wait to make these! Like immediately! Greenpoint Muesli – oh yum, another massive full sized product! Love it! We have a huge bag of their pumpkin spice raw artisan granola. Perfect on yogurt, has cranberries, walnuts and pumpkin in it! 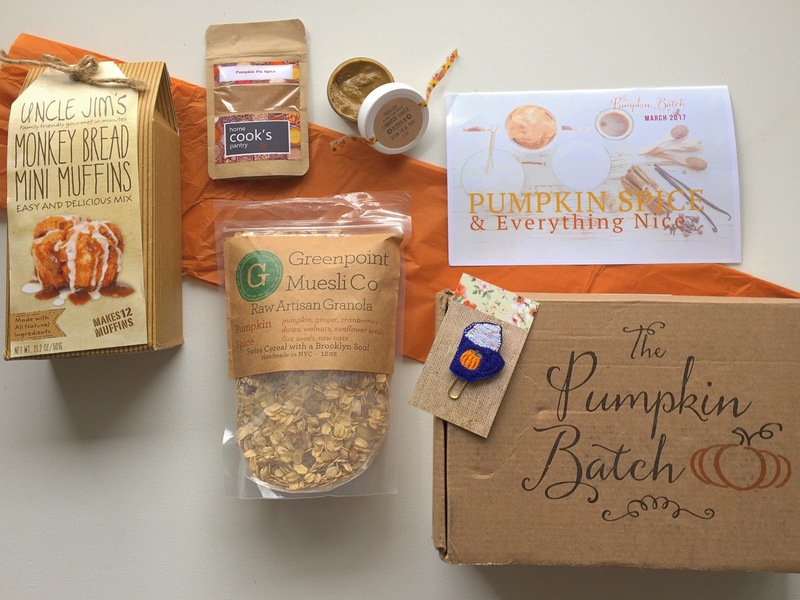 Maddieloos pumpkin mask – oh yum, is this edible? Because it smells like pumpkin pie! This is a vegan cinnamon ginger pumpkin facial mask! Home Cook’s Pantry pumpkin pie spice – the perfect addition to your monkey bread! I little cayenne in this mix too!